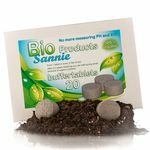 Bio-sannie plant nutrition is the organic way of growing on soil for plants and trees, natural fertilizers and soil enhancers ensure optimal plant growth and flowering. Easy to use, but effective and suitable for both the novice and the advanced grower. It is important to know what organic plant food you are going to use, since this will contribute to a better yield, superior taste of the end product and a more predictable harvest. Whether for the professional grower or hobby grower, both benefit equally from the use of good organic fertilizers and a well-functioning soil life. 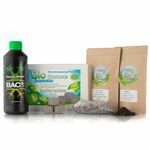 Due to the high quality of our bio plants food you are assured of an optimum harvest and in a completely organic way. 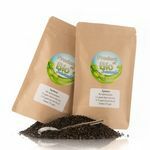 Our plant foods are used with great satisfaction for both outdoors and indoors, in vegetable gardens and under artificial lighting, domestically and abroad. The extensive knowledge of organic breeding and our products ensure optimal follow-up and communication. We are able to maintain our low prices because we collaborate directly with the manufacturers and, if necessary, are able to arrange custom made mixtures exactly to your personal preferences. 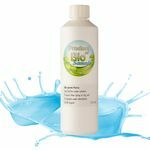 This allows bio-Sannie to offer their customers the most advantageous product if the regular products do not have the correct specifications. Close collaboration with our growers has provided the best results and with over 12 years of experience we even dare to call ourselves specialists. Soil life is a natural phenomenon that is present in the soil beneath our feet. Soil life was caused by evolution and more than 90% of all plants would not be able to survive without the cooperation (symbiosis) of roots and soil life, which consist of bacteria, fungi and natural microorganisms. Our products have also arisen from this idea and were developed in such a manner that plants can make optimal use of their growth potential. Products such as Bacto provide a direct injection of soil bacteria and symbiosis provides enough mycorrhizal spores, allowing a mycorrhiza colonization to occur. This soil life ensures the absorption of water and nutrients that are released from the ground. Which comes down to the simple principle: The plant demands, and the soil life generates. Every type of crop has a different nutritional need and with mineral plant food customized plant nutrition must be realized for each type of plant, which can cause a lot of additional work and irritation. Our natural fertilizers ensure a flourishing soil life which takes care of the nutritional needs of the plant. With this insight it is of less importance which crop is used since the absorption of the nutrients is regulated by the soil life. 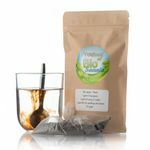 The 4-step plan ensures that the correct soil life and the proper nutrients are being added to the soil. When the soil life properly functions, it’s just a matter of feeding the soil life with organic nutrients. 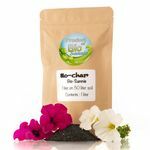 The BAC growth and flowering nutrition we supply is focuses on feeding the soil life and not the plant, because of the sugars present in these nutrients the soil life can flourish and accommodate the nutritional needs of your plants. It sounds easy and that’s exactly what it is! We advise to use a potting soil with as little as possible added nutrients, almost all potting soils on the market today haven been given a certain amount of nutrients to provide enough (mineral) fertilizers for the first few weeks. This is the maximum that should be present since soil life will only flourish if it’s needed and when sufficient nutrients are present the soil life will be less of a necessity and therefore grow less quickly. 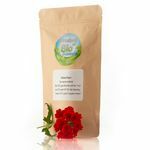 Hence, we recommend using an earth mixture with as little as possible of nutrients, mineral or organic! To omit this phenomenon, it is possible to pre-grow a plant on a smaller container for a number of weeks / months and then transfer to a richer soil mixture, this way the soil life is settled in the pre-growth period and has more than enough fertilizers in the final pot. For a customized advice please contact us and we will ensure that you’ll purchase the correct products!